Runaway Ligue One leaders Paris Saint Germain will be looking for a swift return to winning ways when they host Girondin Bordeaux on Saturday. 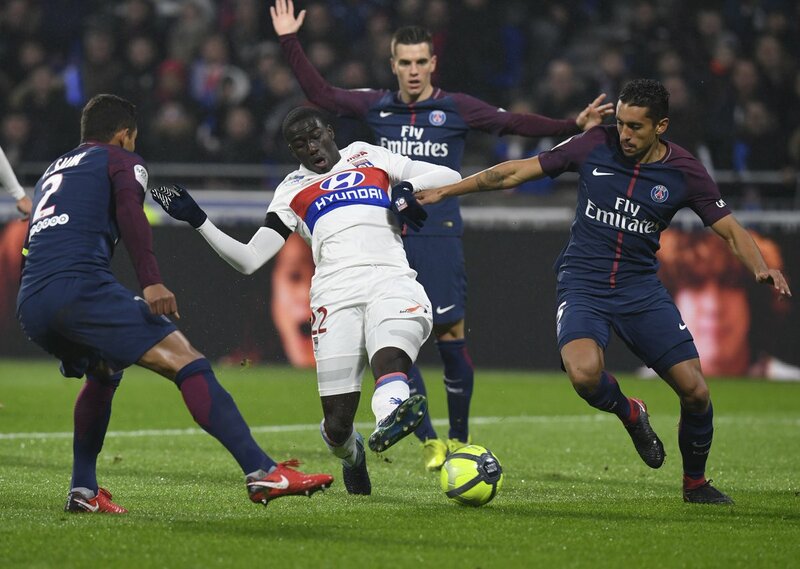 PSG suffered their first Ligue One defeat of the season at Olympique Lyon last Sunday in a game that served to highlight the importance of injured metronome Neymar Jr. The Brazilian is usually Thomas Tuchel’s link between midfield and attack, inspiring and creating chances for himself and strike partners Edinson Cavani and Kylian Mbappe Lottin. His absence thus contributed to blunting the effectiveness of the latter pair as the Parisians fell 1-2 at Stade Lyonnais for the second successive season. Though the defending champions still command a ten-point advantage over Lille Metropole with two games in hand, German tactician Tuchel will demand heightened intensity from his players in readiness for next week’s crunch Champions League encounter with Manchester United. In the aftermath of their 1-2 setback at the hands of Rennes in the Coupe de France on Wednesday, Christophe Galtier’s over achieving Lille must pick themselves up for the trip to bottom club Guingamp. Fatigue could be a serious factor as Lille played most of the match in Rennes a man less. Another tantalizing duel takes place in Montpellier where the 2011 champions host 2017 titlists Monaco in Leonardo Jardim’s first away game since re-assuming the mantle from dismissed Thierry Henry. Having witnessed him mastermind last weekend’s 2-1 victory over Toulouse, Monaco’s faithful are upbeat Jardim can inspire a positive result to edge the principality club away from relegation trouble. Bruno Genesio’s third placed Lyon make the trip down south where they can expect a strong challenge from a Patrick Vieira coached Nice side that upended them in the reverse fixture. Nice are noted for their defensive frugality but they will be hard-pressed to stop Lyon front man Moussa Dembele, who is buzzing after netting once and winning the penalty that put paid to PSG’s unbeaten record.